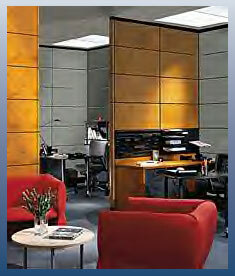 __Corporate Installations identifies customer satisfaction as its number one priority. We are a office furniture installation company with professionalism and courtesy, to our customers, receiving a strong emphasis! __Front Range Office Installations and Colorado Interiors merged in August, 1998 to form Corporate Installations with a staff of over 50 Employees. This staff enables us to meet the increased business demands necessary to maintain a high level of satisfaction in our steadily growing list of customers. __Our senior supervisors have a combined total of 150 years in the industry. This experience and knowledge enables us to assure our clients of our ability to handle all types of projects, ranging from typical and routine to difficult or unusual. __The decision to use Corporate Installations will give you the peace of mind that we will meet all of your office furniture installation needs.